Super Smash Bros. – you probably already know as the must have fighting game for the WiiU has been out for about 3 months now and has received many awards and sold over 2M copies so far! 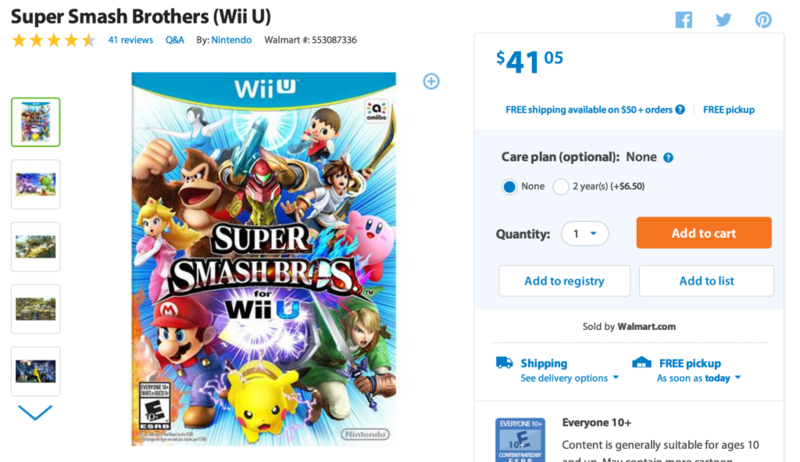 Did you miss our on Super Smash Bros WiiU Black Friday deal? If you haven’t gotten your hands on this game, Walmart is selling this game for $41.05, with free store pickup or spend an additional $9.95 to get free shipping. Click here now to get the deal!